Our goal is to provide patients with quality care through a team that is dedicated to bariatrics. From the initial information seminar to all your post-op care, we are committed to your success. We want your experience to be exceptional through education, surgery, medical care, and ongoing support. For appointment information, please call 503-434-6060 or register to attend a Bariatric education seminar. 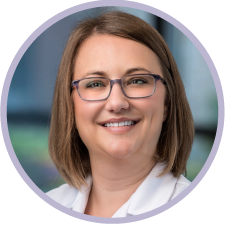 Dr. Erin Thompson joined the surgery staff at Willamette Valley Medical Center in 2018 with special interests in bariatric surgery, antireflux surgery, gastrointestinal surgery, gallbladder surgery, hernia repair, and endoscopy. She received her medical degree from the University of South Alabama College of Medicine in Mobile, Alabama. She then completed a surgery residency at Santa Barbara Cottage Hospital in Santa Barbara, California as well as a Fellowship in Minimally Invasive and Advanced Gastrointestinal Surgery, including Bariatric surgery, at Baystate Medical Center in Springfield, Massachusetts. Dr. Thompson has published and presented her research on weight loss surgery at national meetings and is committed to ongoing improvement in the field. She believes in empowering patients through shared decision making and patient-centered care. Dr. Thompson performs Laparoscopic Sleeve Gastrectomy and Laparoscopic Roux-en-Y Gastric Bypass, as well as revisional bariatric surgery, including Gastric Band Removal, on a case-by-case basis. She is board certified in general surgery by the American Board of Surgery and holds professional memberships with the American College of Surgeons, American Society for Metabolic and Bariatric Surgery, and the Society of American Gastrointestinal and Endoscopic Surgeons. Outside of work, Dr. Thompson enjoys hiking, biking, and reading a good book. 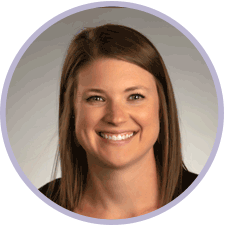 Ellen, our Program Coordinator and Registered Dietitian, joined the Willamette Valley Medical Center team in 2018 to pursue her desire to work with obesity and weight management. She graduated from Indiana University in Bloomington, Indiana before moving to the Pacific Northwest to finish her dietetic internship in Ellensburg, Washington. She worked for several years as a nutrition program supervisor and counselor for prenatal/postpartum women and families with infants and young children. 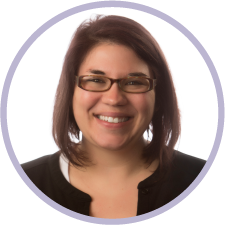 She is a Certified Lactation Educator and has a Certificate of Training in Adult Weight Management. Ellen’s goal when working with patients is to make nutrition feel simple and easy instead of overwhelming and complicated and dispelling the myth that eating well is expensive. She loves helping patients find balance in healthy eating so that food can still bring joy. In her spare time, Ellen spends lots of time with animals – those of her own and volunteering at the animal shelter. She also enjoys cooking, playing board games, yoga, and doing laundry (Yep! You read it right!). We love her energy and know you will too! Dr. Foster is a Licensed Psychologist who oversees the Behavioral Health support to the program participants. She began her professional career as an exercise physiologist with a BA in Exercise Science from Messiah College in Mechanicsburg, Pennsylvania. She worked for six years in Geriatric Wellness providing exercise programming and education to residents within the retirement community setting. She then returned to graduate school to complete an MA and PsyD in Clinical Psychology. She completed clinical training as a therapist and behavioral health consultant with all ages from pediatrics to geriatrics and has worked in a variety of settings including grade school, university counseling, medical (both hospital and primary care), community mental health, and inpatient psychiatric care. Dr. Foster has specialized in areas of depression, anxiety, trauma, grief, and suicidal ideation. Dr. Foster lives in Newberg with her husband and three children. She enjoys running, biking, soccer, reading, and hanging out with her family. Kendy is the medical office assistant. 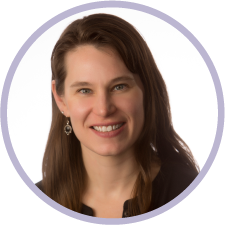 She provides a warm welcome to the Willamette Valley Medical Center Weight Loss Surgery patients and helps you navigate the sometimes-complicated world of insurance. She is responsible for insurance verification, pre-authorization, and surgery scheduling, and will help you know what’s covered, what’s not covered, and what your out-of-pocket expenses will be.